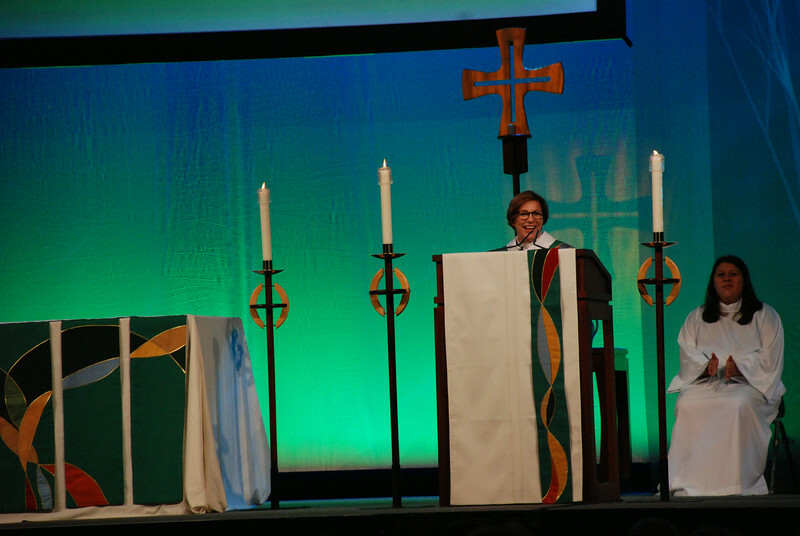 Ninth Triennial Gathering | July 24-27 2014 | Charlotte Convention Center, Charlotte, N.C.
Claire Schenot Burkat preached at Thursday evening's opening worship. Burkat is bishop of the Southeastern Pennsylvania Synod of the ELCA. EH.